This project is co-financed with European Union funds. It is led by the University of Humanities and Economics in Lodz. With the support of the ESF, an international educational program will be launched. The project "International Training Program - Political Science" is implemented under Measure 3.3 Internationalization of Polish Higher Education Operational Program: Knowledge, Education and Development in the period from 01.01.2017 to 31.07.2019. The Intermediate Body is the National Center for Research and Development. 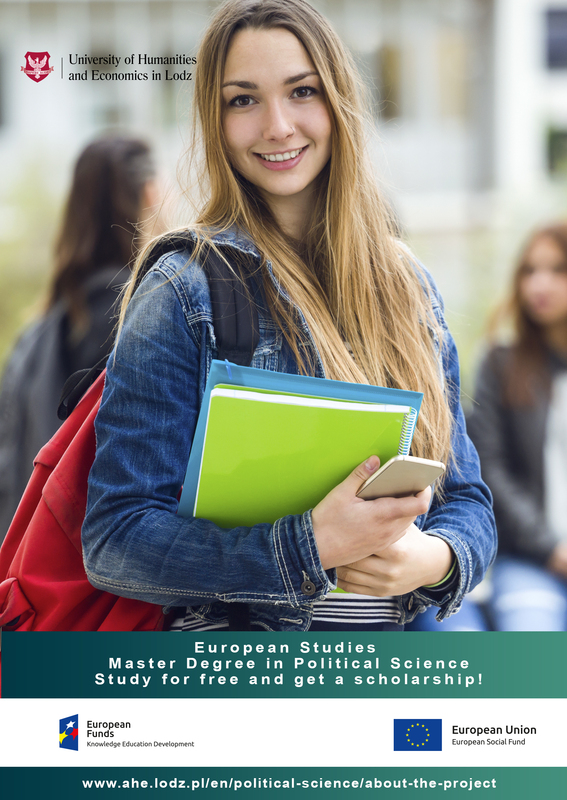 The aim of the project is to improve access to education in the international environment of 30 people (20 women and 10 men), including at least 15 foreigners (10 women, 5 men) by launching a new course of study: Political Science until 31.07.2019. As a result of the project, 27 participants will obtain M.A. titles in Political Science after two years of study. It is assumed that 3 foreign students from AHE having participated in the project will undertake work or further education in Poland. Introducing a completely new field of study conducted in English will help to consolidate internationalization at the University of Humanities and Economics in Lodz due to creating opportunities both for Polish and foreign students to function in the international environment, as well as preparing them for professional work in the international environment.